Beautiful 3 bed/2 bath home now available in the charming 55+ Ridge Lake subdivision. This gated community, with only 39 homes, offers a pool/clubhouse along with lots of organized activities. Located on a cul-de-sac, this single story home with 2-car garage has both an unobstructed golf course and partial lake views. Nothing to do here except move in as this home has been freshly painted and carpeted (bedrooms/office) with neutral colors (HVAC 2 yrs). The spacious kitchen with breakfast nook has all stainless steel appliances. Master bedroom, with deep tray ceiling, has a large walk-in closet and an adjoining master bath with shower plus extra large linen closet. There are two additional bedrooms with a tub/shower combo bath. The office opens to a screened porch which overlooks the golf course. 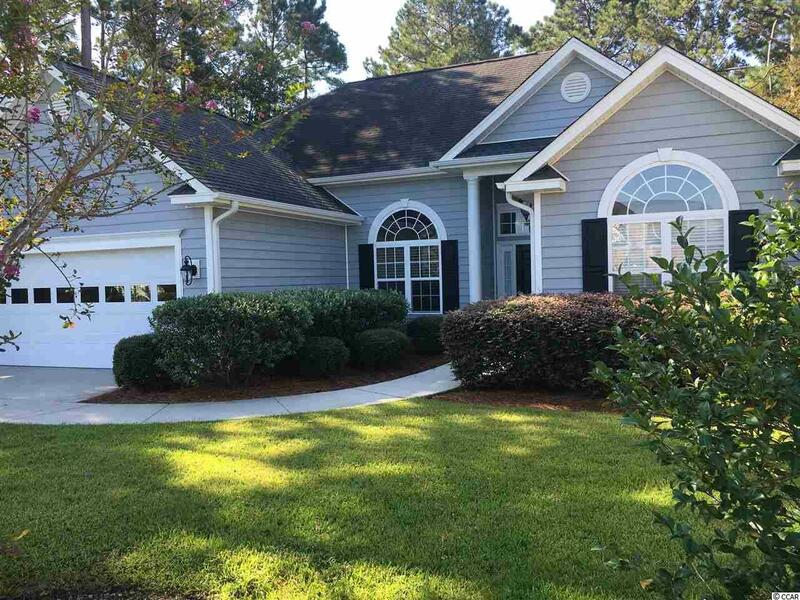 Situated between Hwy 501 and Hwy 544, the Ridge Lake community is close to the Conway Medical Center and doctors offices, shopping, new bowling center and is approx. 15 minutes to the beach. It is not often that a home comes available in this community. Make an appointment to tour this gem today! There was NO flooding in the house due to Hurricane Florence.